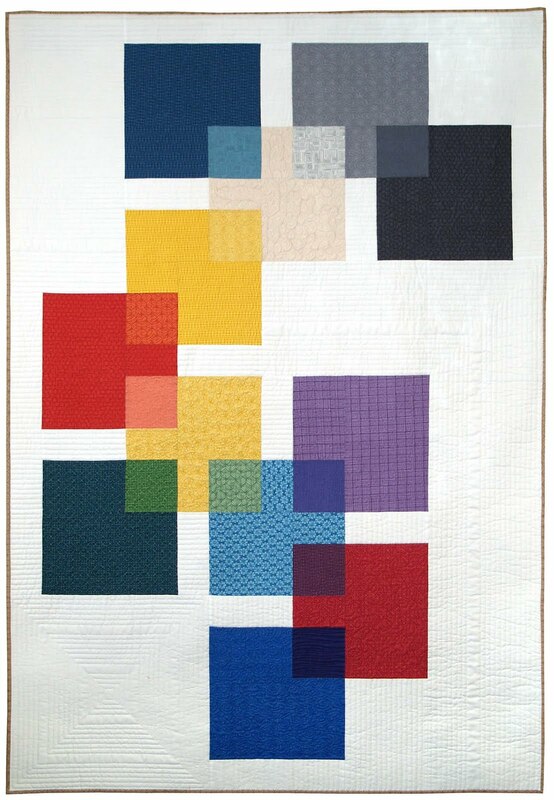 This stunning quilt was made entirely from recycled silk ties and silk tie remnants from the Robert Talbott Tie Company. 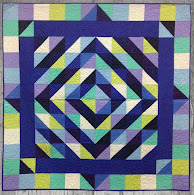 Virginia Anderson says: "I have been working on this quilt off and on for over 10 years ! 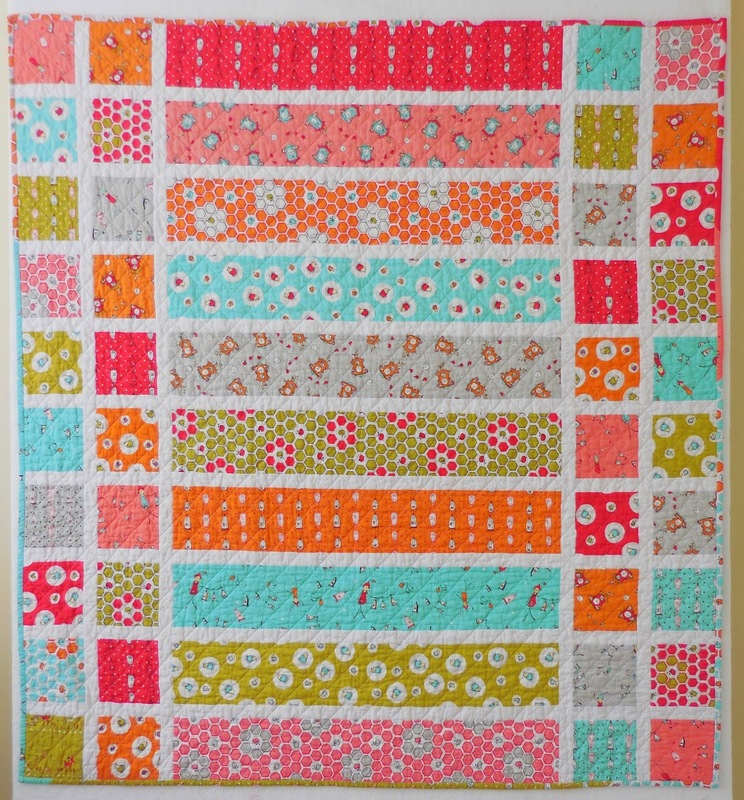 I am happy to have finally finished it. 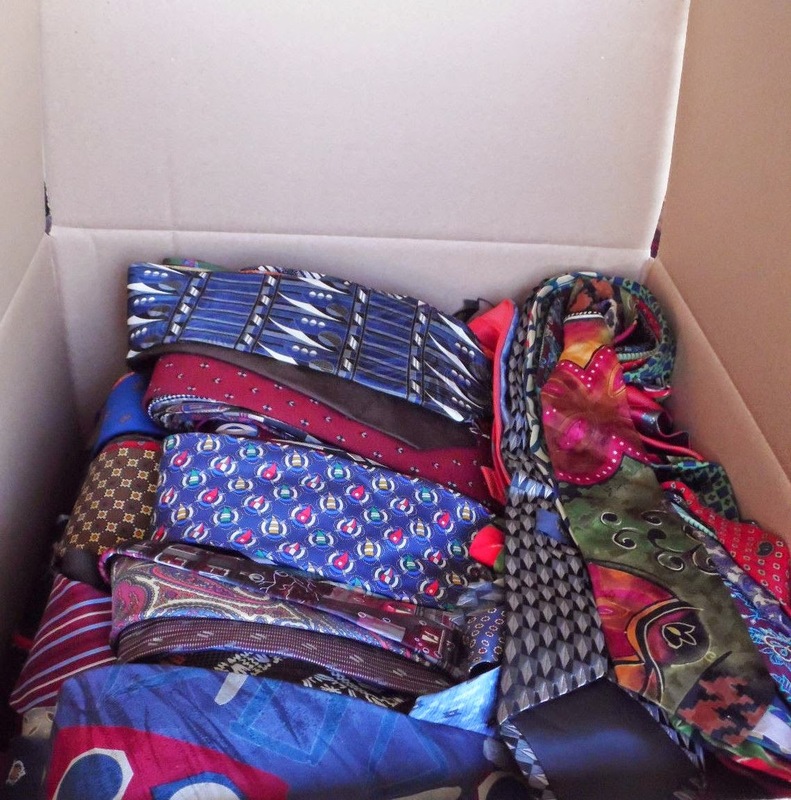 It was great fun collecting all the silk ties. 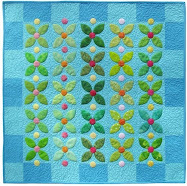 Piecing with silk is definitely a challenge!" 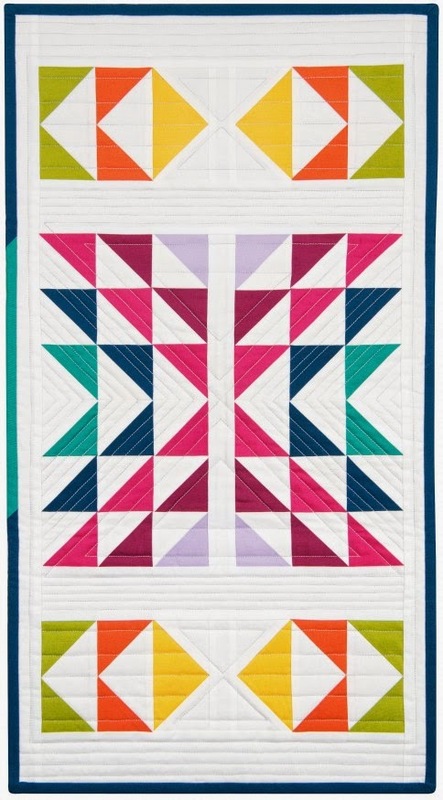 Her perfect piecing can be seen in the close up photo below. 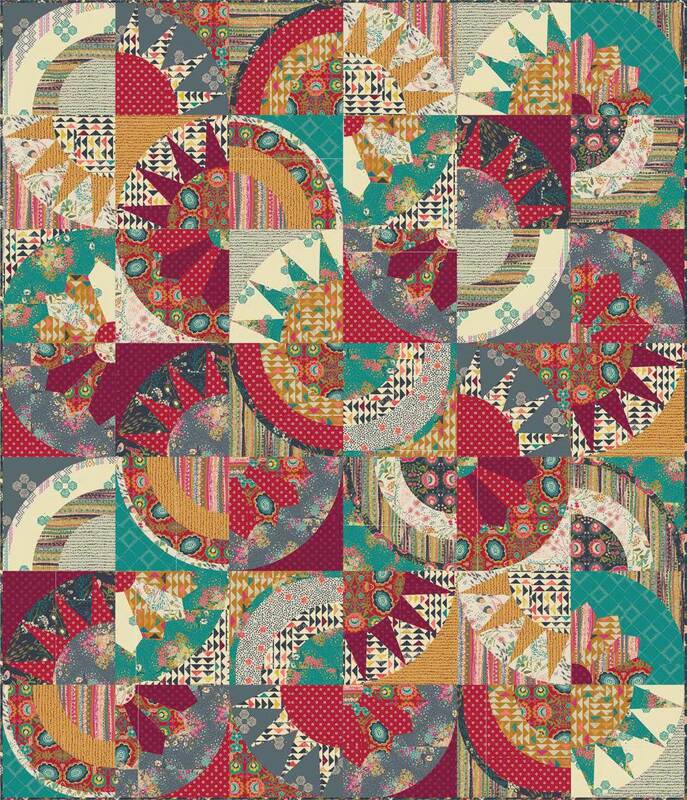 We loved Virginia's selection of patterns and colors, with the primary red, yellow and blue hues dominating. 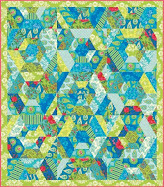 For the design she used the "Untitled" quilt pattern by Karen K. Stone. 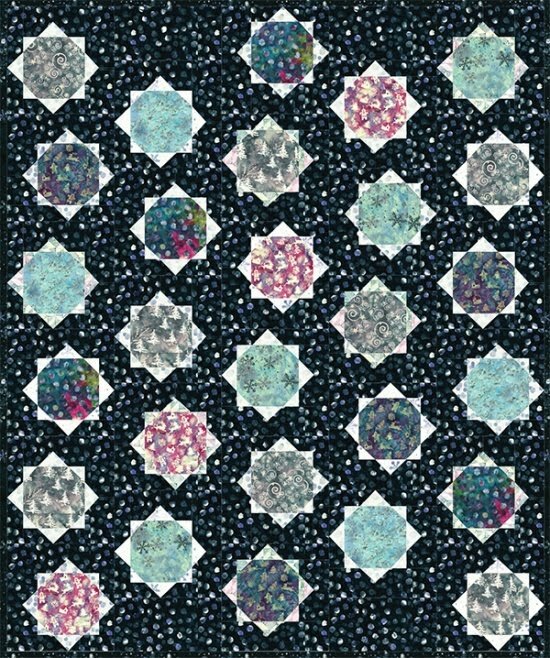 Recycled Silk Ties was machine pieced and machine quilted and was exhibited at the 2013 Houston International Quilt Festival. 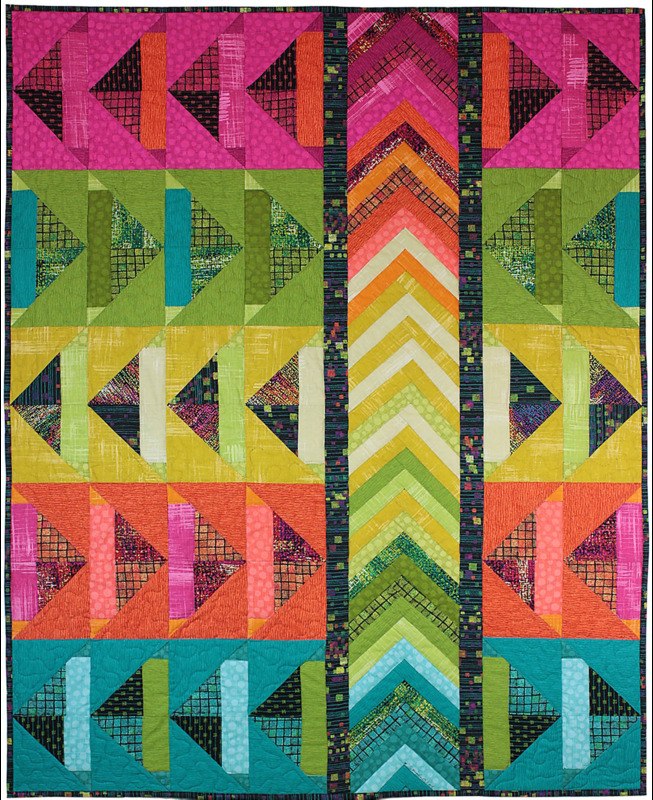 Nancy Ota's Universal Ties is a gorgeous tumbling blocks quilt that was English paper pieced, hand stitched, and hand quilted. 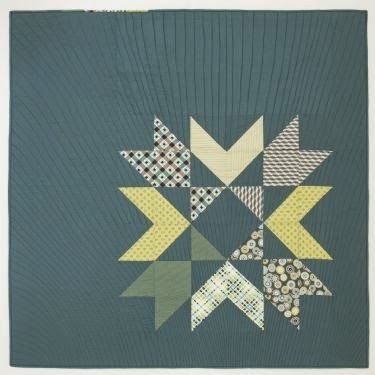 The close-up photo above shows the way in which Nancy incorporated stars among the tumbling blocks, and the beautiful hand quilting. 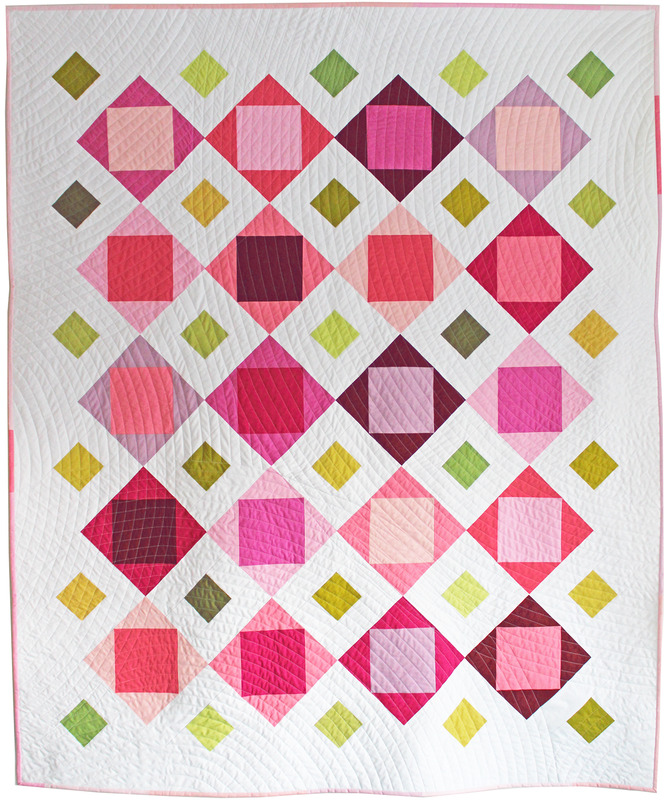 The photo below shows the full quilt. 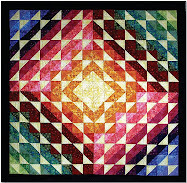 Universal Ties was shown in a special handwork exhibit at the 2013 Houston International Quilt Festival. 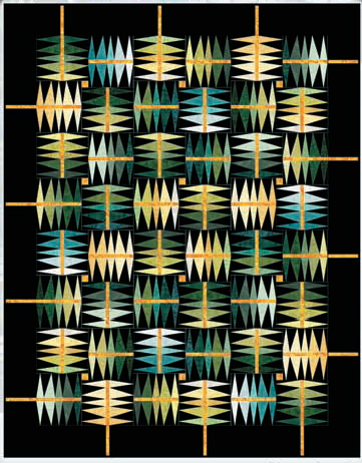 Nancy Ota says, "Silk neckties gave me the opportunity to work with luscious colors and the richness of silk. 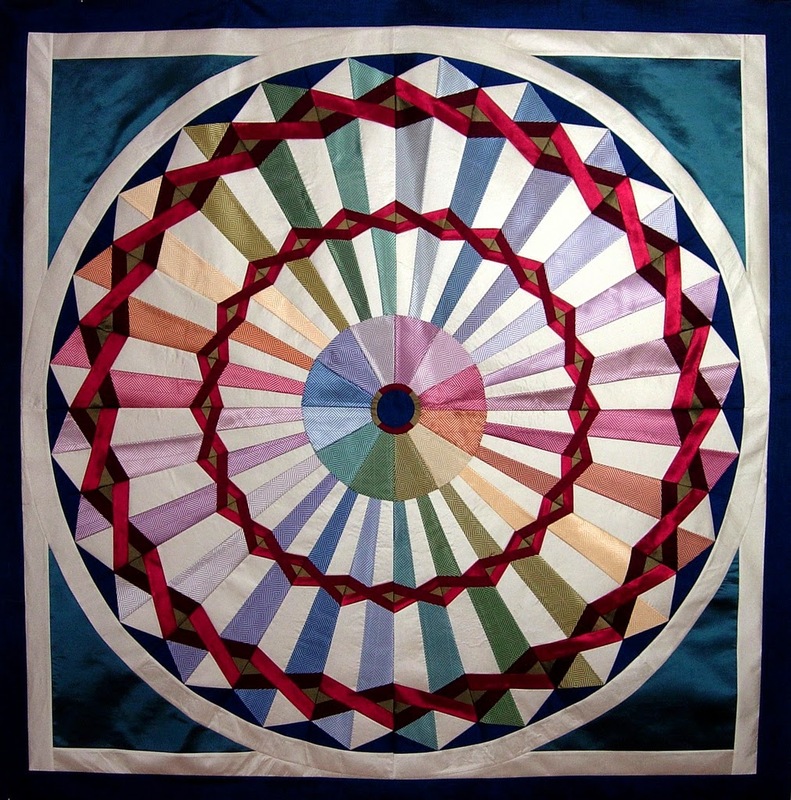 Using the English paper piecing method allowed the silk to be managed. 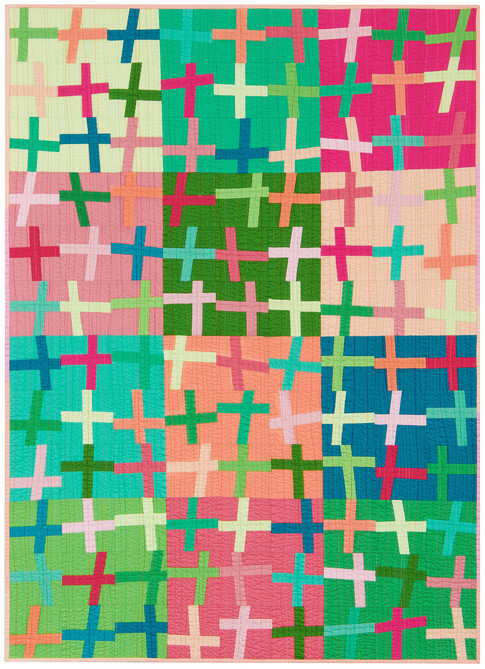 I love handwork as it is both meditative and creative." 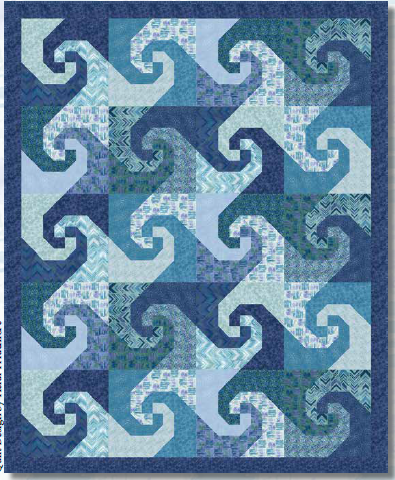 Here are some more close-up photos. 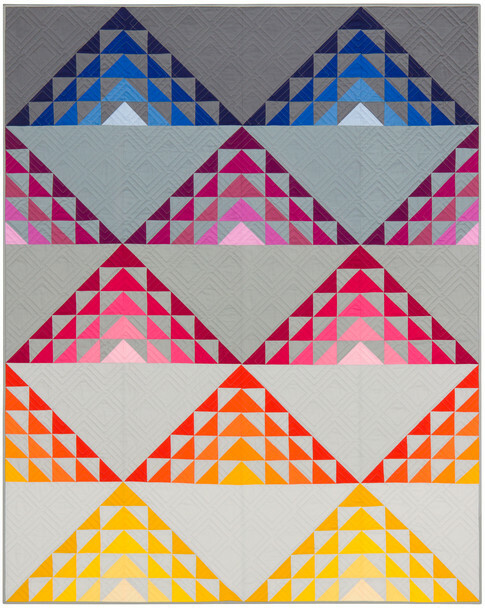 We've admired this quilt on the web, and it was wonderful to see the precise piecing and hand quilting up close. 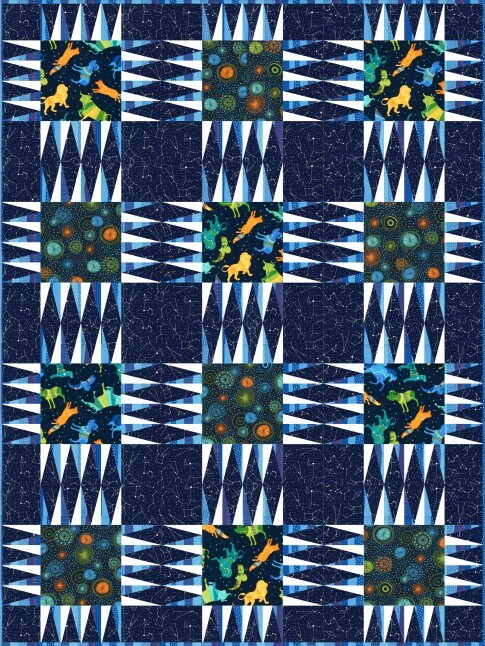 These silk tie prints are so much fun; in the photo below, note the American flag print which is next to a golf-themed print. 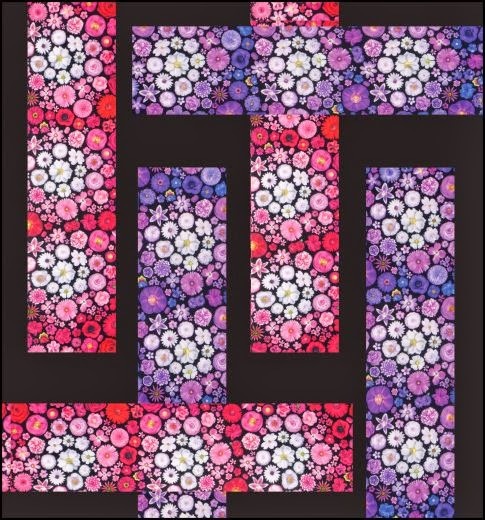 Nancy Ota has taught her English Paper Piecing methods to many other quilters; for more information see her Lectures and Workshops and her upcoming Schedule. 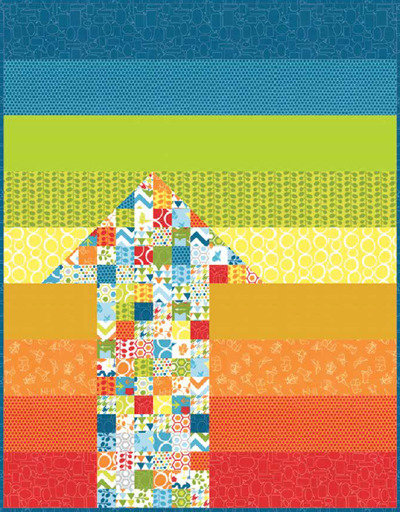 Recycling neckties (and other clothing) is a tradition among quilters. 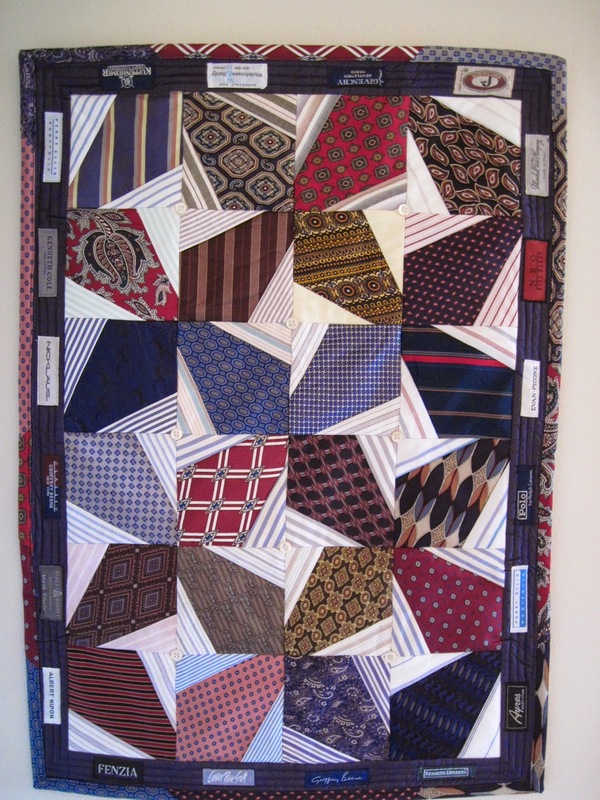 This huge 1950's silk/satin necktie quilt top, seen on Ebay, is impressive. 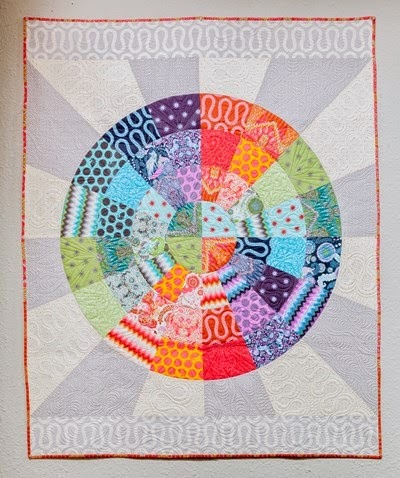 The Fan Wheel / Wheel of Fortune variation starts with a Dresden Plate in the center. 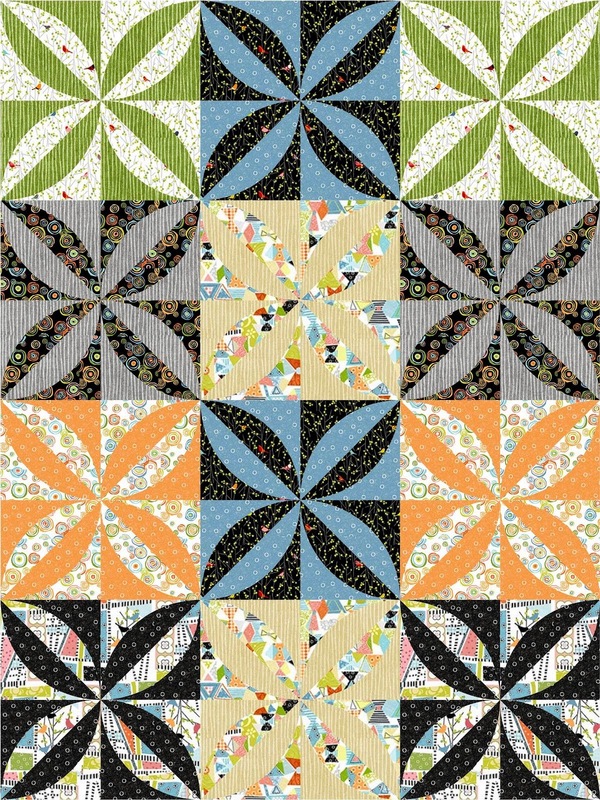 Tie tails were used in the middle wheel, and the main ends of the ties were used in the outside wheel. 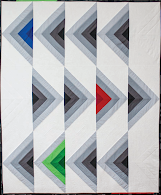 Two edges of the ties were rolled over with a hand sewn blanket stitch. 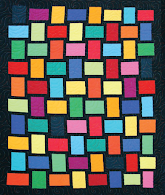 Stacey Sharman's spectacular Carnival quilt, made from tie silks and silk dupioni in every color of the rainbow. 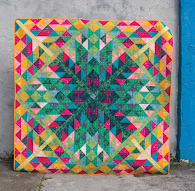 On her website, Stacey explains: " I love mixing both vintage and new fabrics to create quilts that are simultaneously modern and traditional and are also absolutely unique." 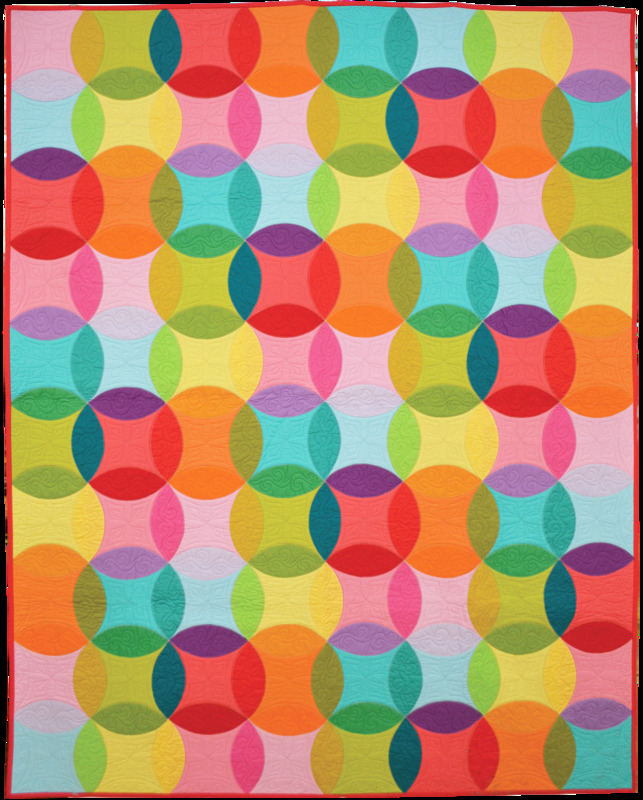 Carnival was based on a pattern by Norah McMeeking from Bella Bella Quilts. 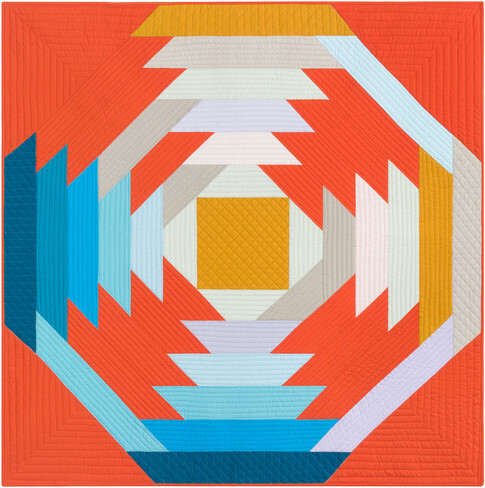 Stacey Sharman's Silk Orange Peel quilt was based on the contemporary Indian Orange Peel pattern by Karen K. Stone. 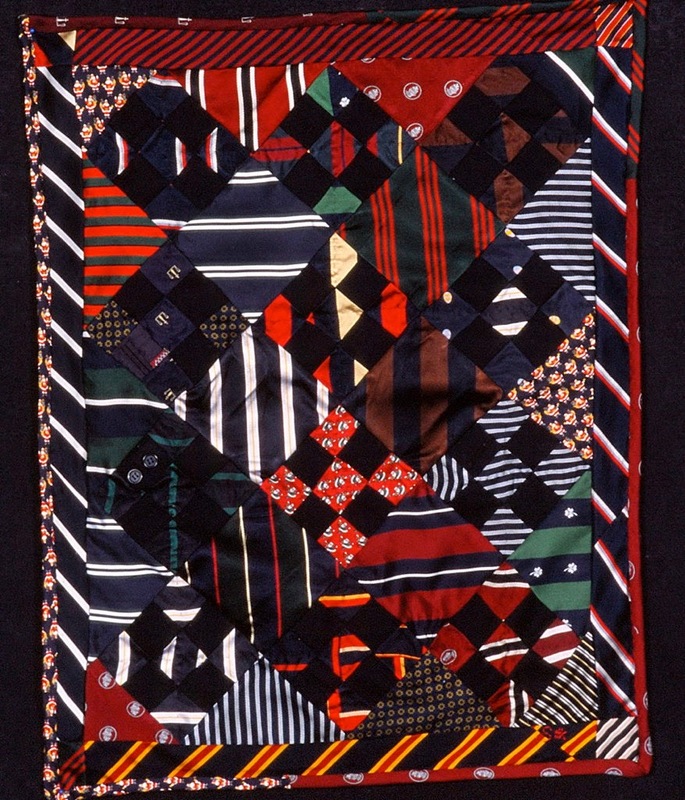 The silks were either samples or remnants - approximately 4.5 x 12" in size - from a factory that makes neckties. 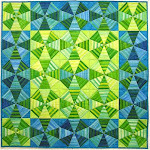 Stacey says: "Foundation-pieced is the only way to go with silk quilting." 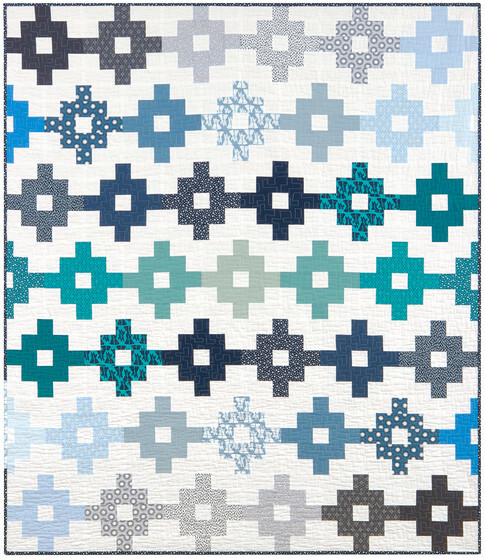 This original and beautiful necktie quilt won third place in the Theme category at the 2014 Arizona Quilters Guild show. 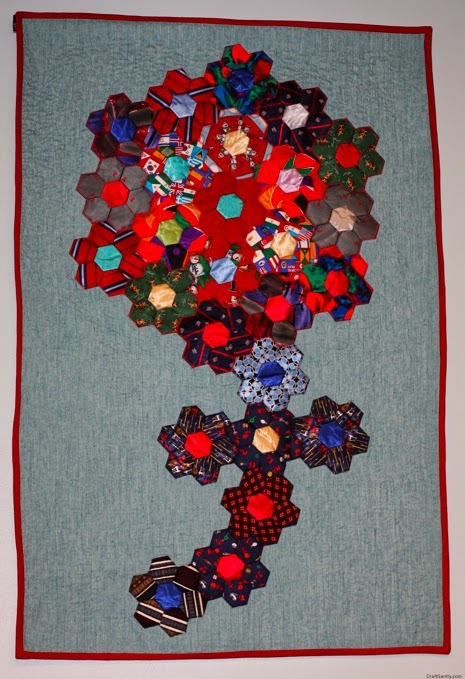 Margit Kagerer says: “Grandfather went through his stash of neckties and revived them as flowers. 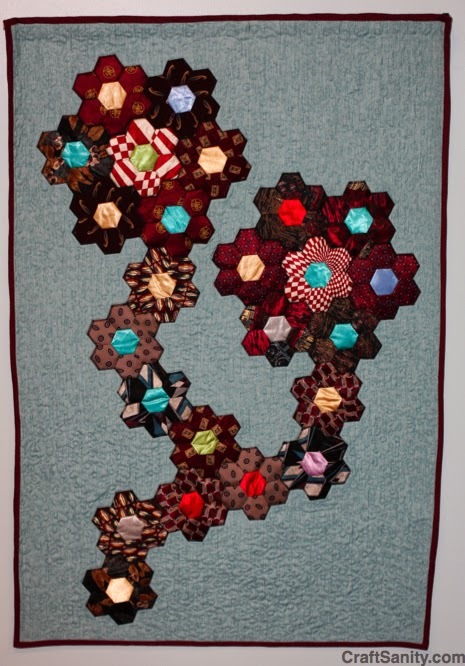 He arranged the tips in hexagons like grandmother did for her garden.” For more information about Margit Kagerer see Margit's Fiber Art. 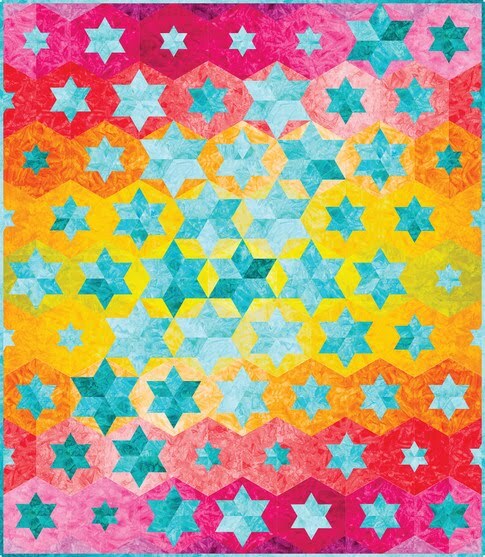 This fascinating wall hanging was created by Bette Haddon, an award-winning quilt artist who lives in beautiful DeFuniak Springs, Florida. 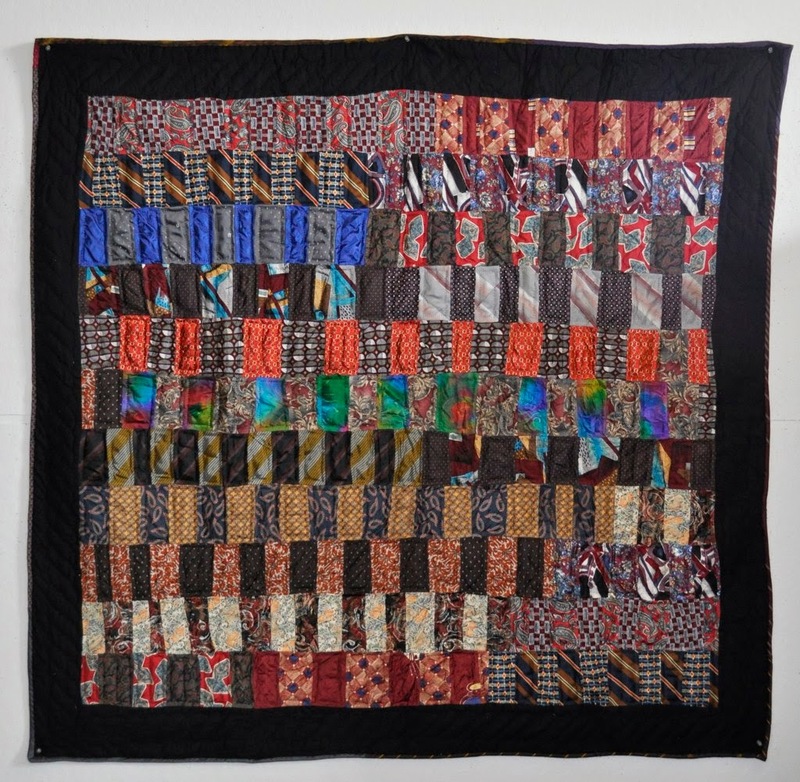 She used whole ties along with tie tips, labels, and buttons to create a highly textured surface. We counted over 200 buttons and labels. 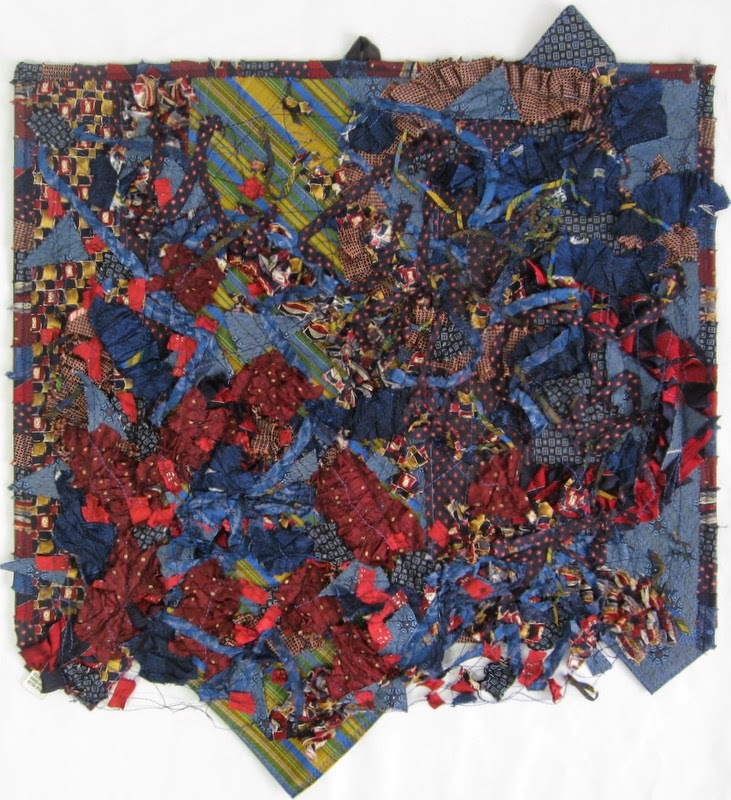 Ira's Quilt by artist Bet Ison was made with denim, velveteen, neckties, and brocade. 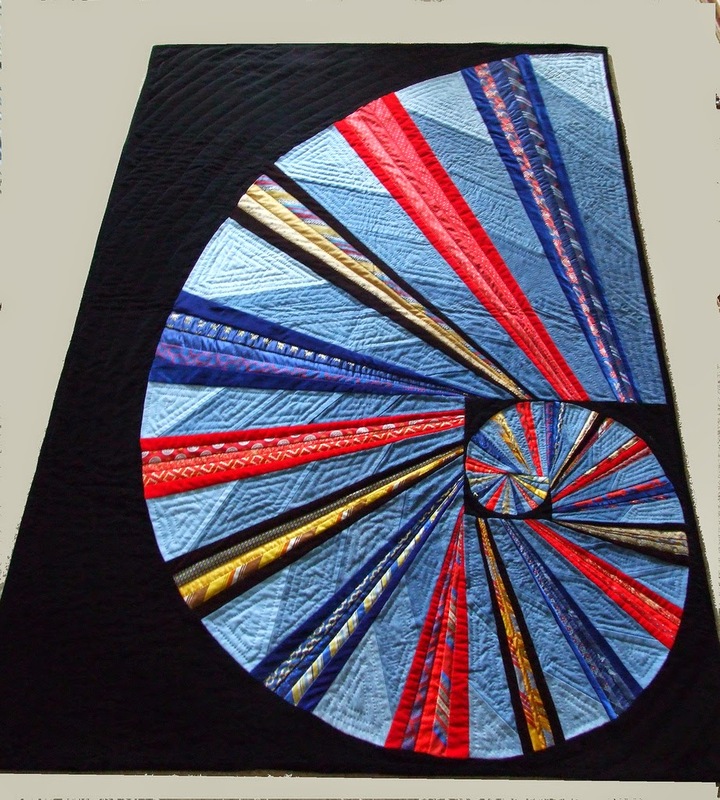 The quilt uses the golden mean to make a Fibonacci spiral. 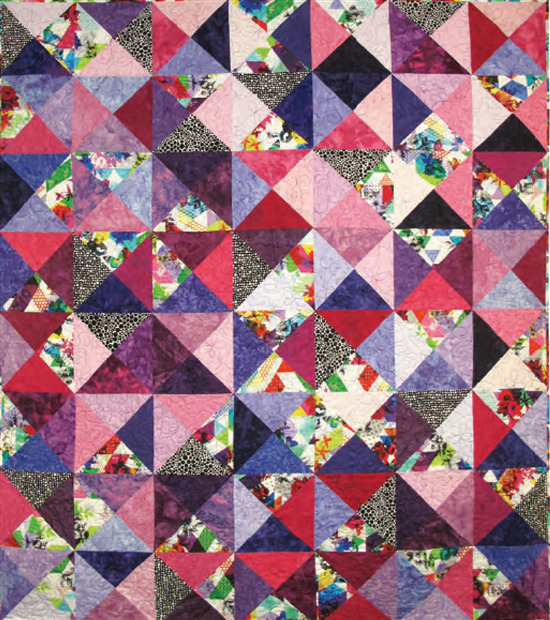 For more information on Bet Ison please see our 2011 feature article, Waste not, want not: a quilting tradition. This original wall hanging was made with about a dozen vintage neckties arranged to create a three-dimensional surface on a pieced background. 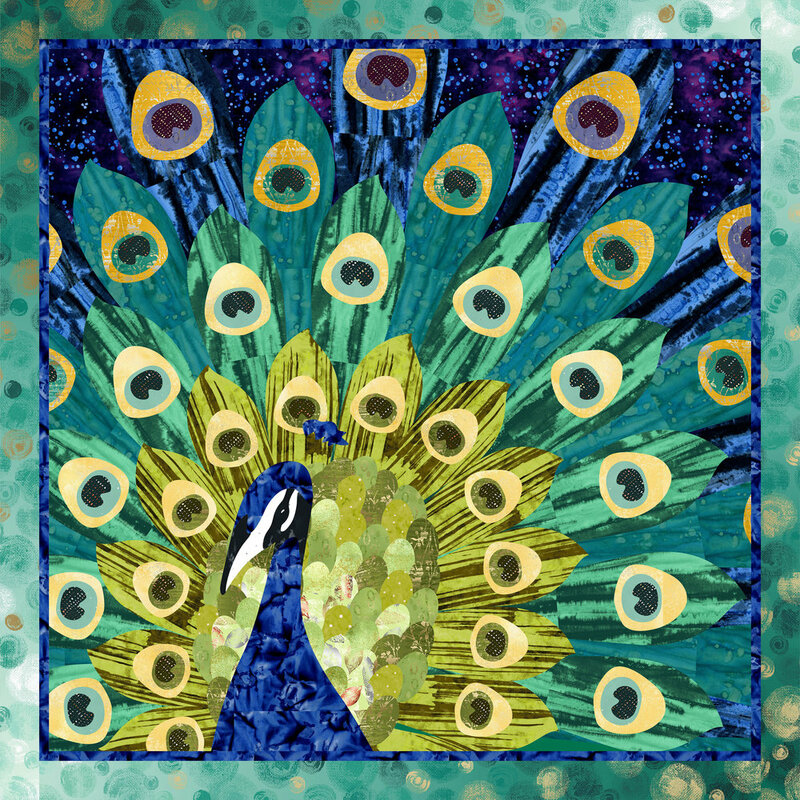 Nancy Gamon is well known for creative use of recycled materials; at her online boutique at Etsy you can find ruffled scarves made from neckties, mixed media artworks and other creations. 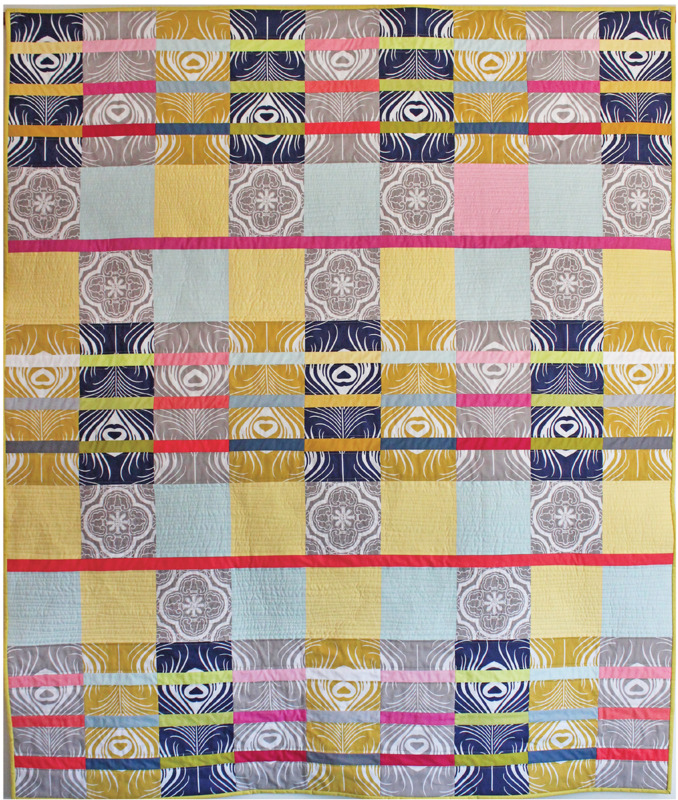 Tie Repeat by Louise Silk is a wonderful work of textile art made with strips of neckties. 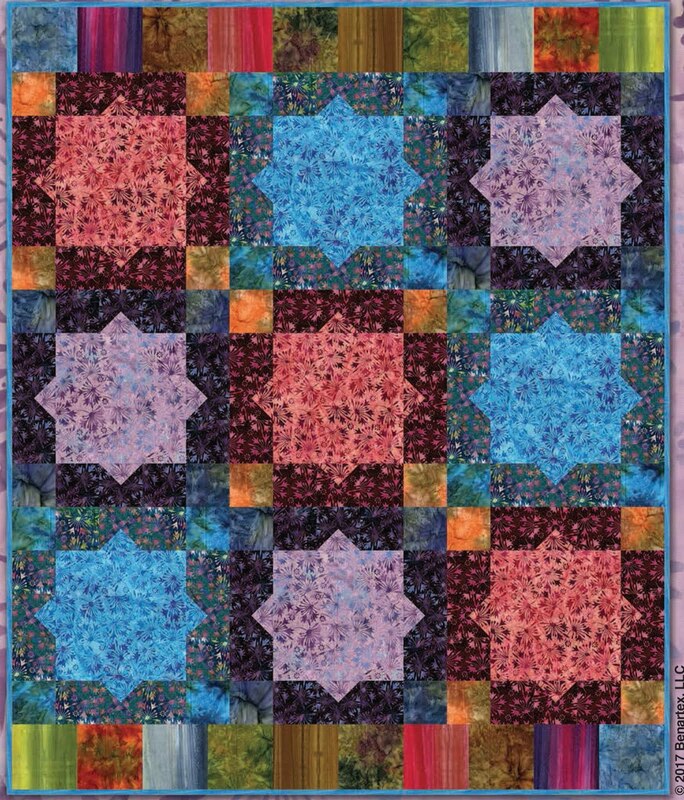 The emphasis in Tie Repeat is on the artistic juxtaposition of the patterns, colors and values of the silks, which are arranged in repeating sets of light and dark. 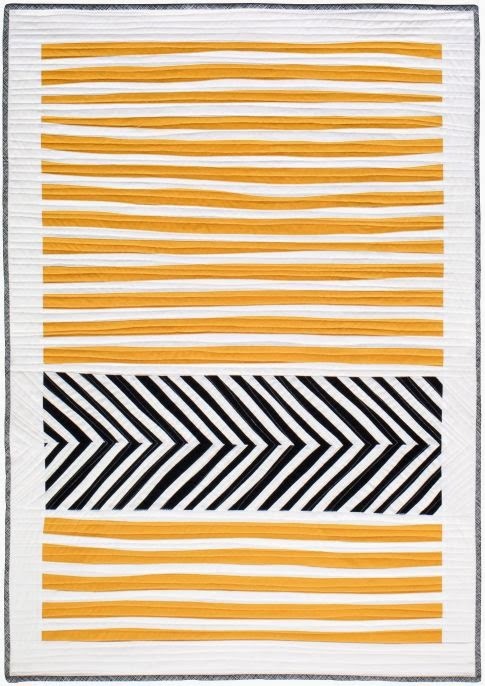 This intriguing and dignified nine-patch quilt is enlivened by the stripes running vertically and horizontally through the blocks. 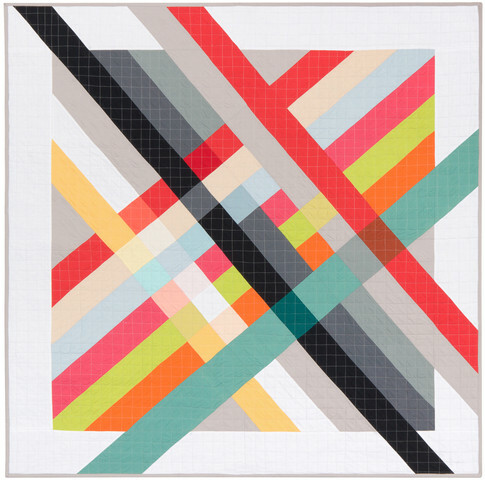 The black squares in each of the nine-patch blocks "tie" the whole composition together. 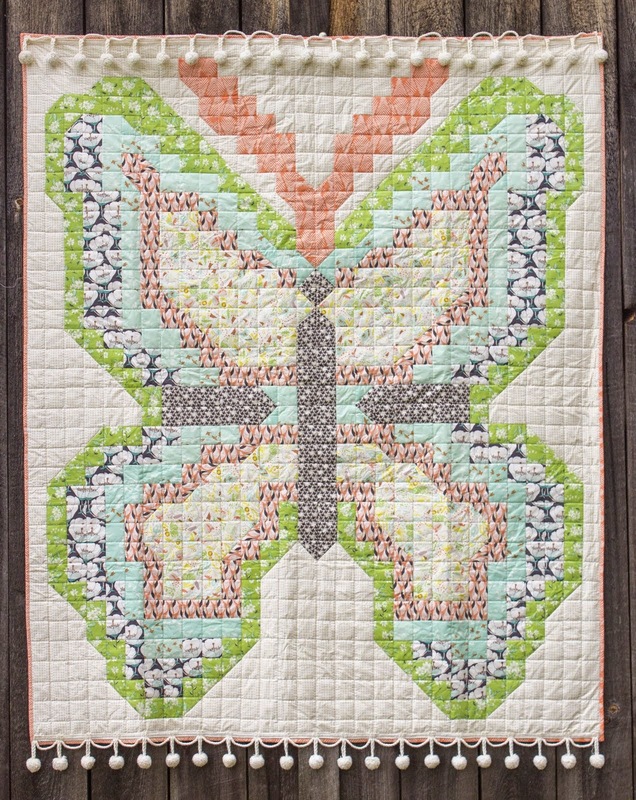 You can see more of Louise Silk's creations, including many items made from reclaimed clothing, on Flickr and at SilkQuilt on Etsy. 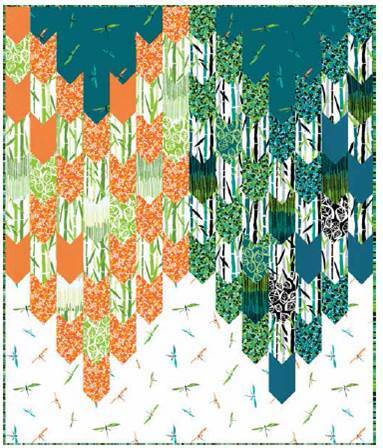 For Jennifer Ackerman-Haywood's Power Ties in Bloom series, silk neckties were donated by West Michigan business men and community leaders. 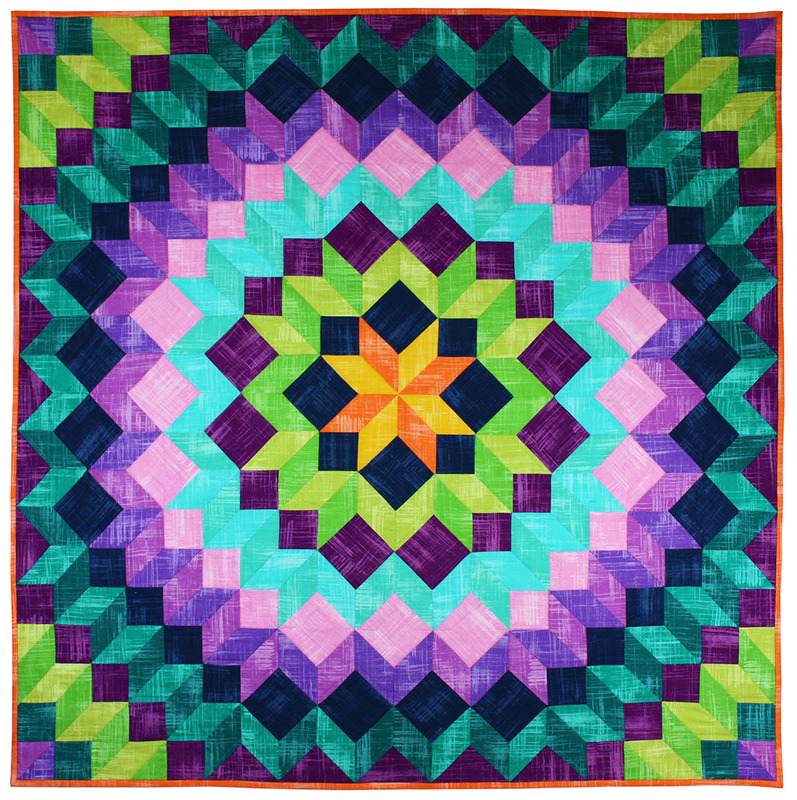 Jennifer used the ties to create five different quilts with colorful, hexagon-shaped blooms. 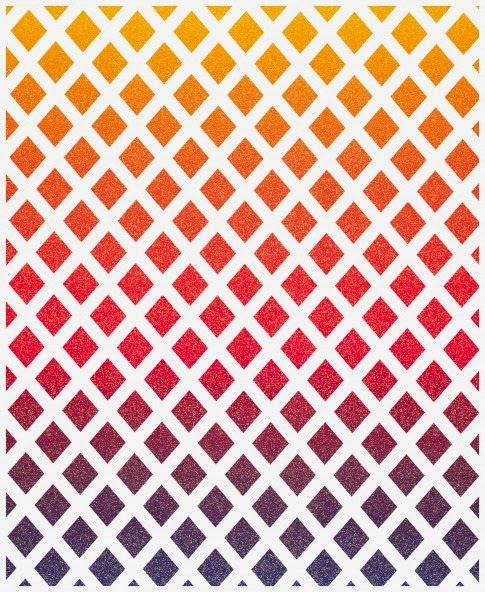 The series was exhibited at ArtPrize 2010. 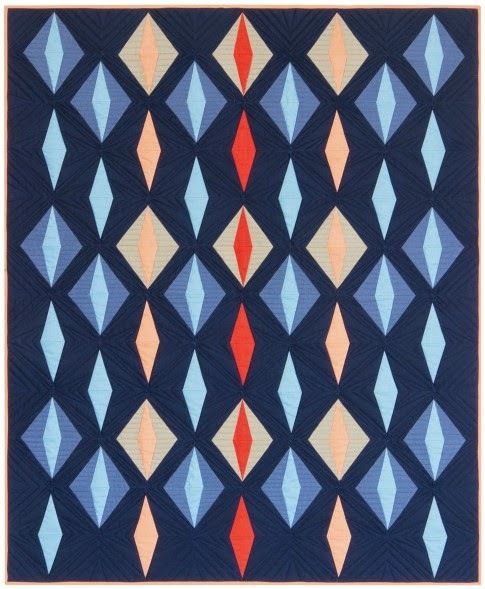 Renay Martin wove together 56 different blue and red ties together to create this Memory Tie Quilt, then hand stitched them in place. 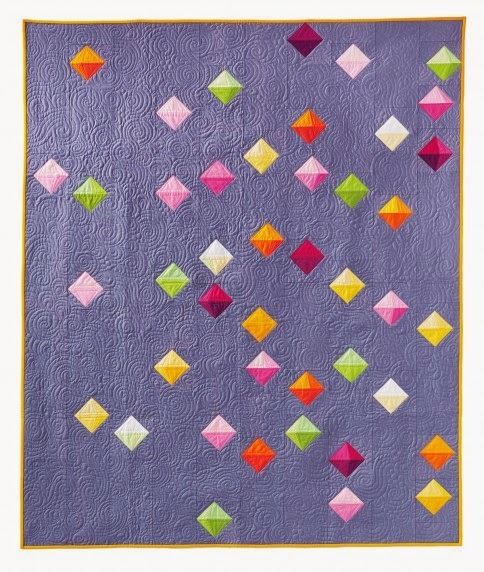 She removed the labels from all the ties and re-applied them in various positions on the front of the quilt. 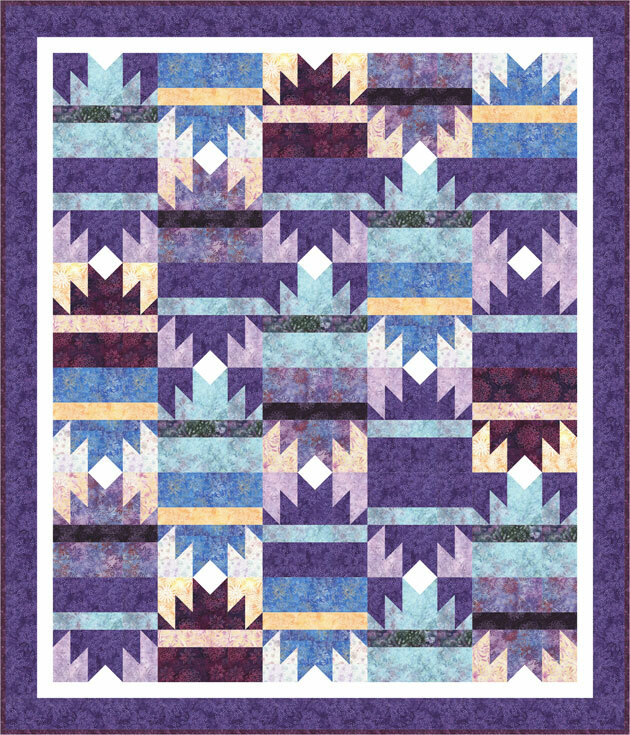 This quilt was featured by Deb Rowden at Deb Rowden's Thrift Shop Quilts. 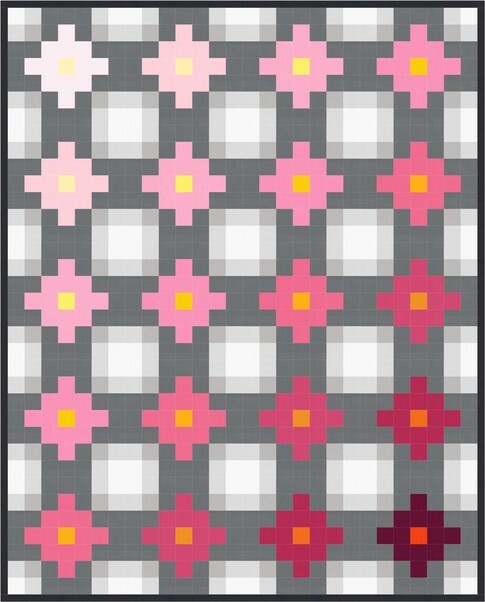 Renay has developed a pattern for her technique; you can purchase it at Purse Strings Patterns. 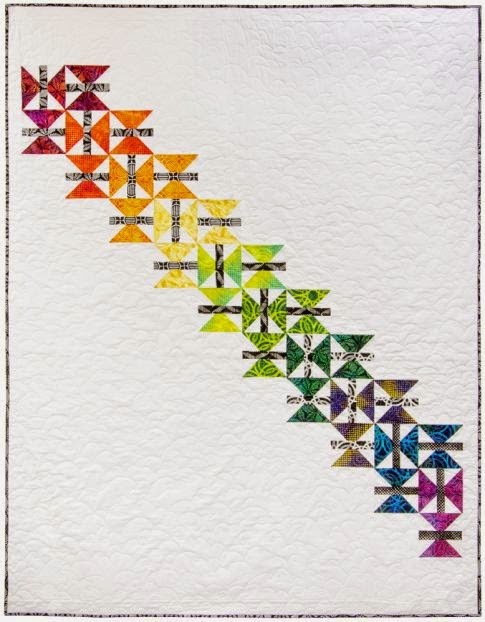 Nancy Sturgeon created this lively wall hanging with twenty-four different ties. 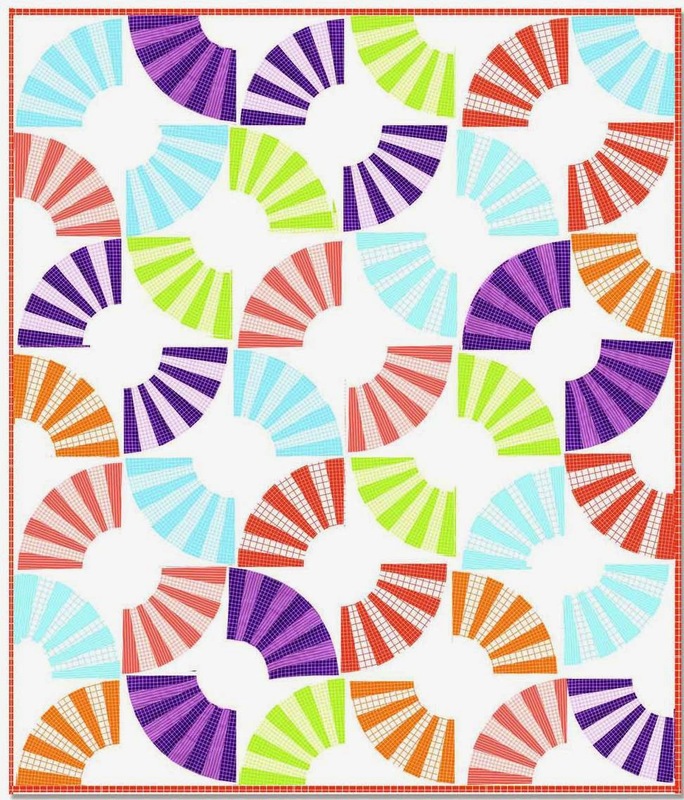 The shirt stripes used on either side of the ties create spinning pinwheels. 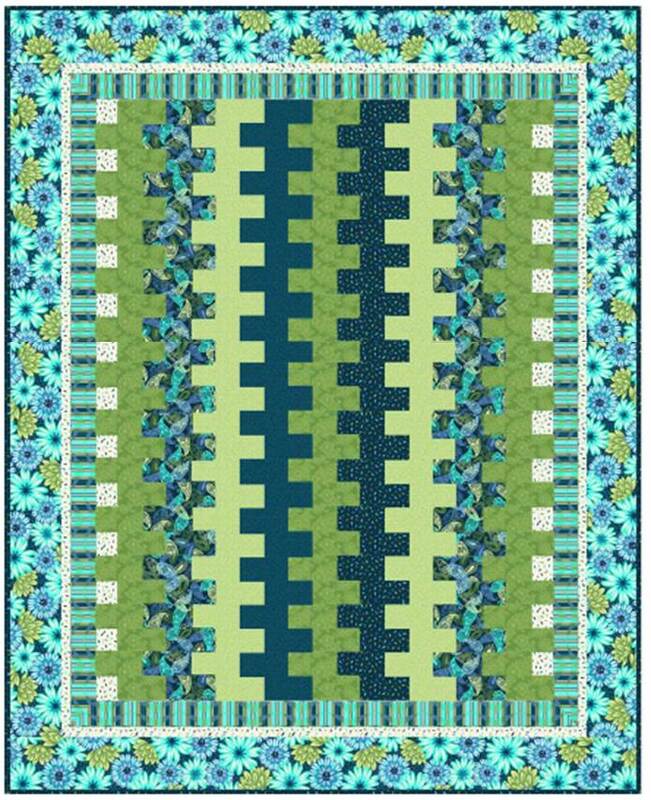 The tie labels were sewn along the border. 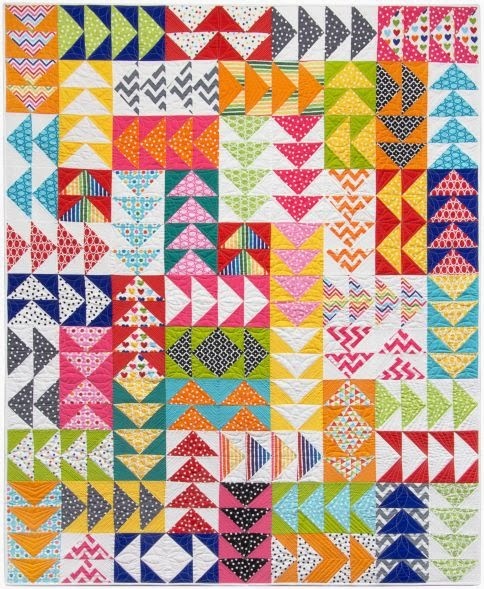 The block design is from a pattern in an out-of-print book, Quilts for guys: 15 fun projects for your favorite fella (edited by Cyndy Lyle Rymer; check for copies at Amazon). 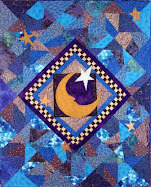 Nancy also made the beautiful quilt shown below. 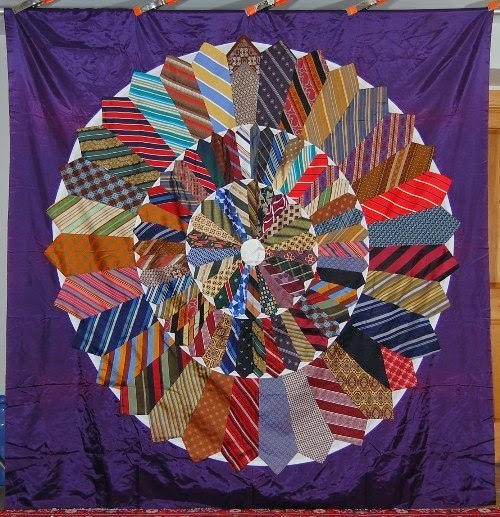 Nancy Sturgeon's Tie Quilt, 52 x 52", includes almost the entire necktie (tip, label, lining, and fabric) from 100 different ties. 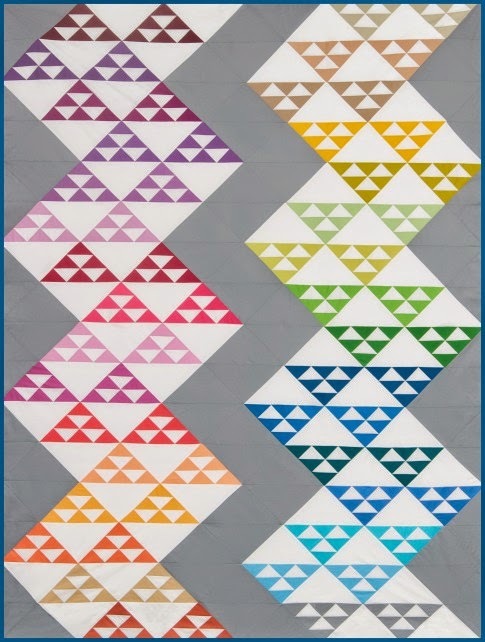 Also, 140 tie tails were used to create prairie points along the edge. 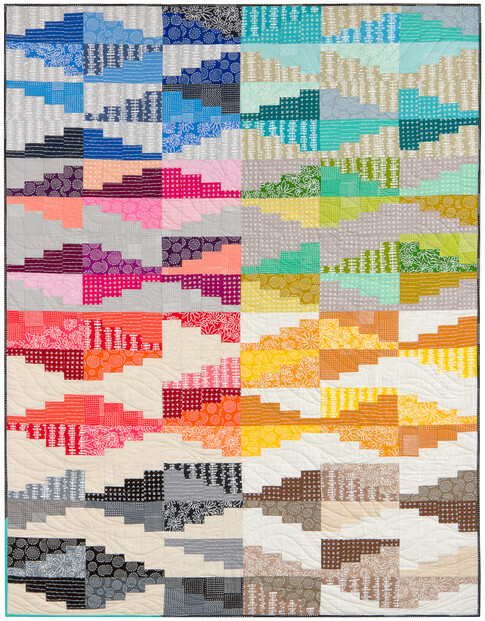 It is fun to see all the different patterns and labels in this quilt! 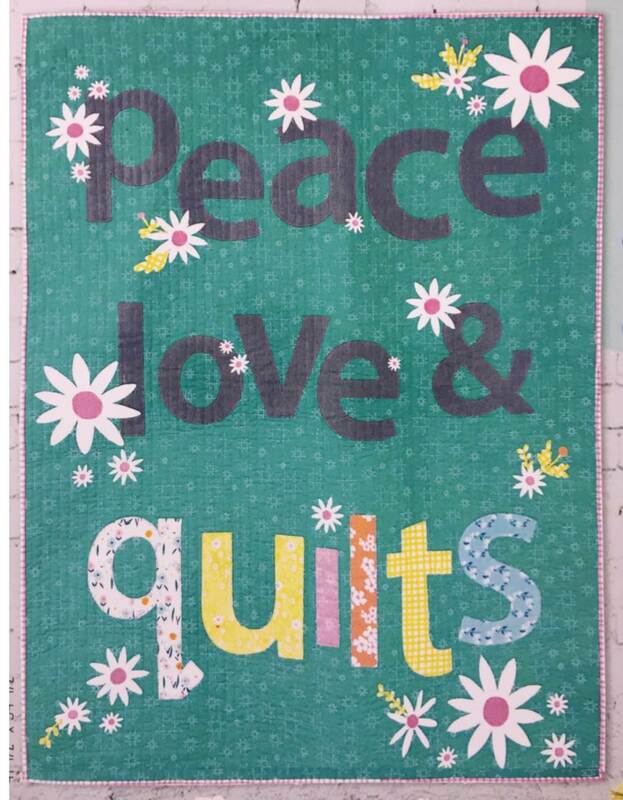 Image credits and links: Photos of the quilts by Virginia Anderson, Nancy Ota and Margit Kagerer were taken by Quilt Inspiration. 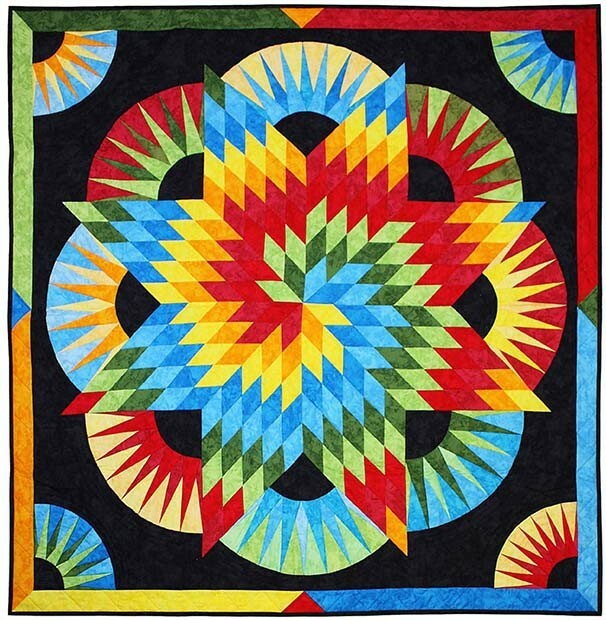 Quilts by Bet Ison, Nancy Gamon, Nancy Sturgeon, Stacey Sharman, Louise Silk, Bette Haddon and Jennifer Ackerman-Haywood were previously featured at Quilt Inspiration with permission of the artists. 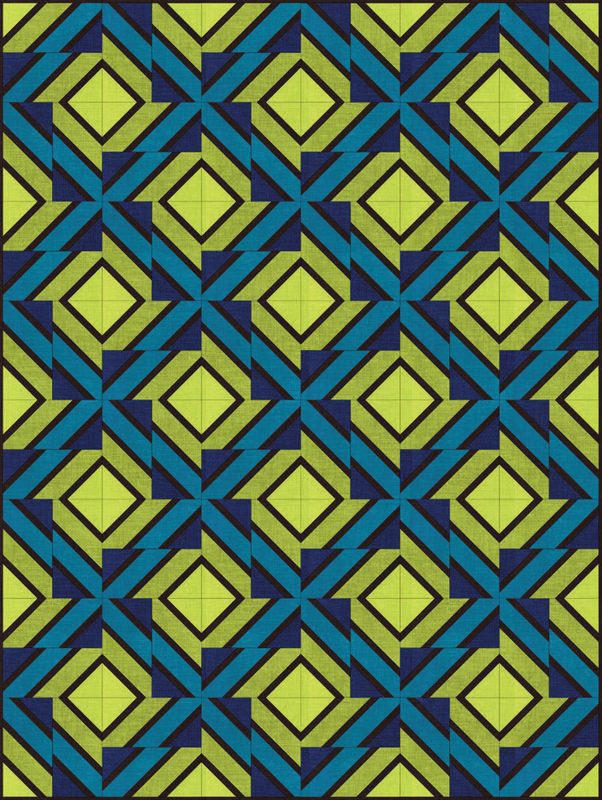 Thanks for the wonderful inspiration of neckties. 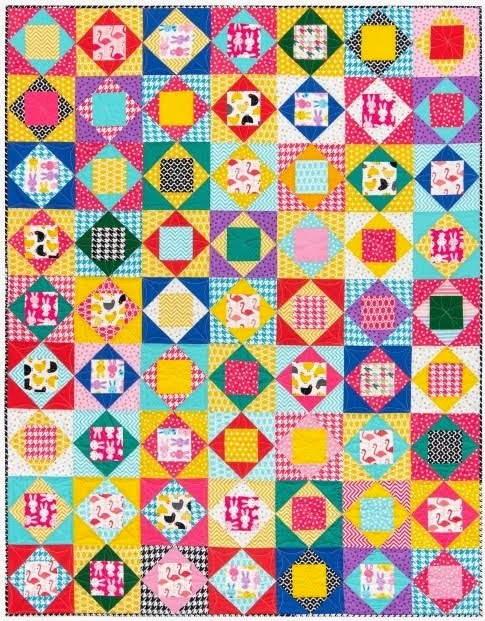 I have saved a box of my Dad's clothes for years with the intent of making a quilt. 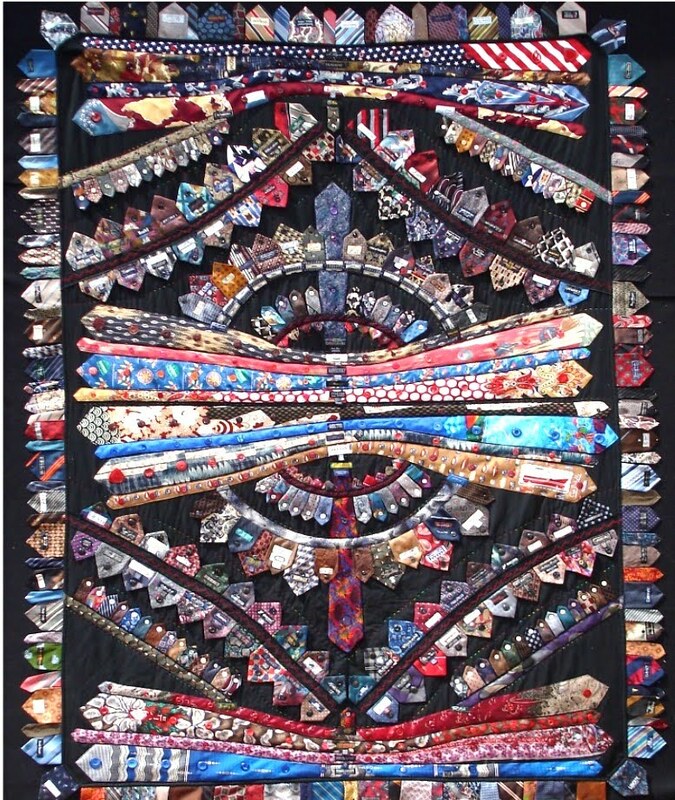 Also have just a few ties which I have worn over the years. Perhaps I'll get started soon. 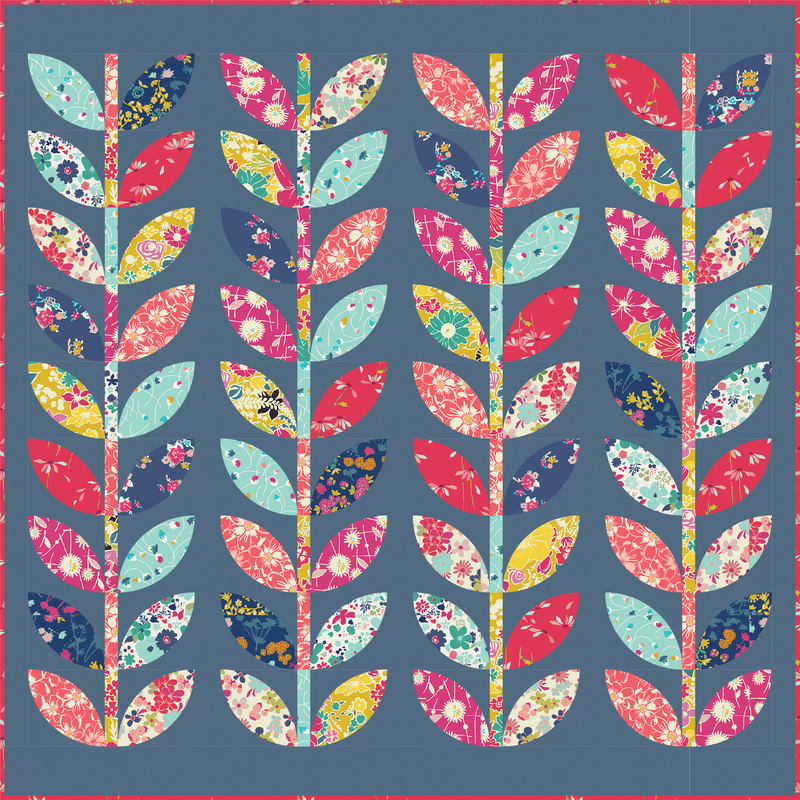 If anyone is interested I have a huge stash of tie silk fabric samples purchased wholesale. 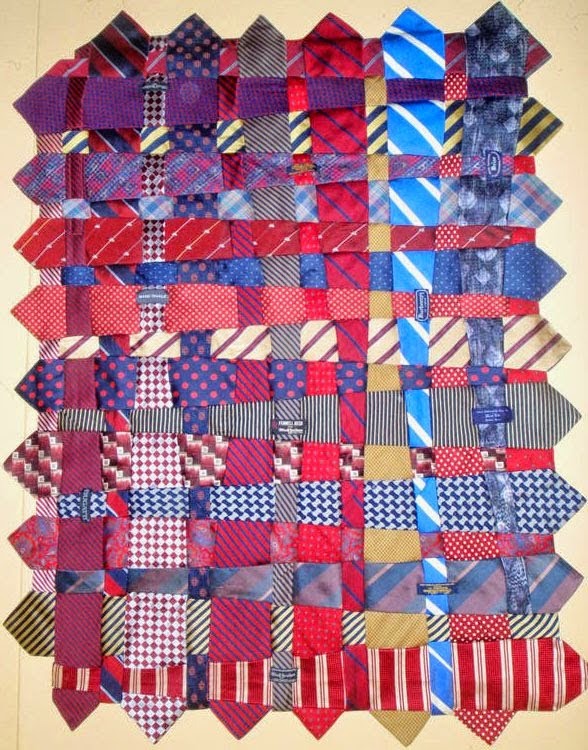 These were never ties -- they are approximately fat quarter size pieces. 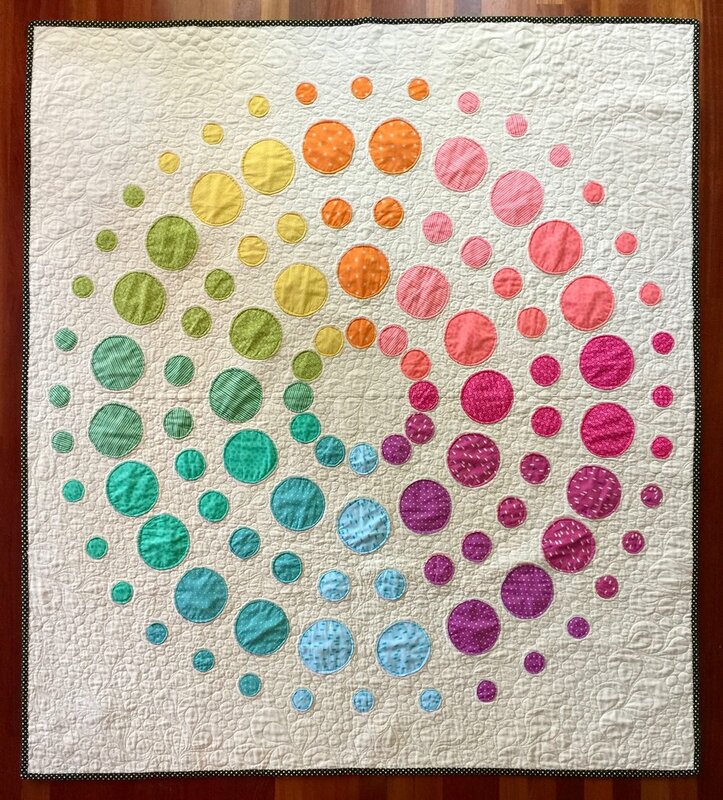 I have thousands of them organized by color. 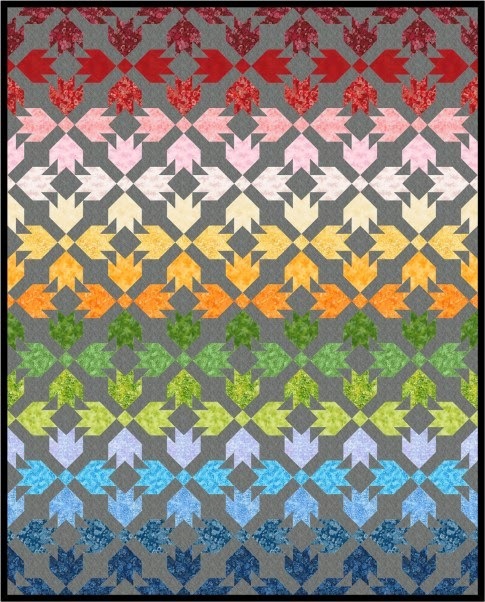 At this point I will GIVE them to anyone interested for the price of shipping. 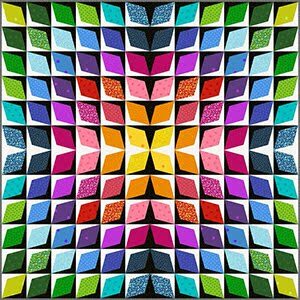 They span the gamut from modern prints to classic rep ties, paisleys, dots, checks and stripes in red, maroon, pink, yellow, orange, green, brown, gold, white, silver, grey, black, purple, and many shades of blue. 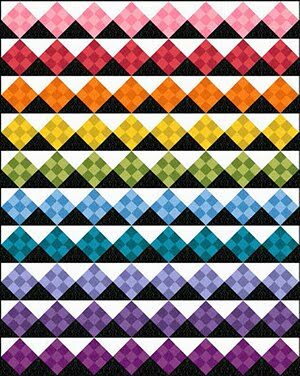 Reply here with some way to contact you. I'm in Massachusetts. 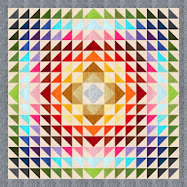 II anD am interested. 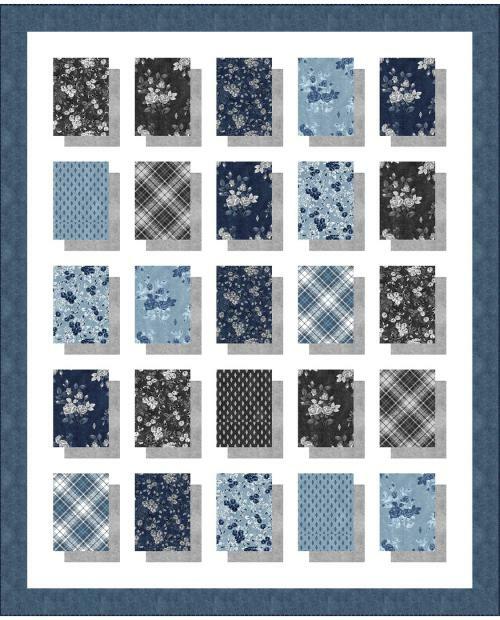 Please email me at 99jan@tx.rr.com. 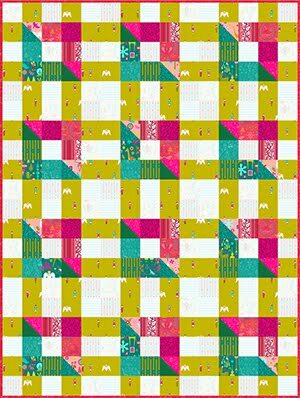 Necktie quilts that don't actually look like necktie quilts! Thank you so very very much! Thank you for posting your pictures. 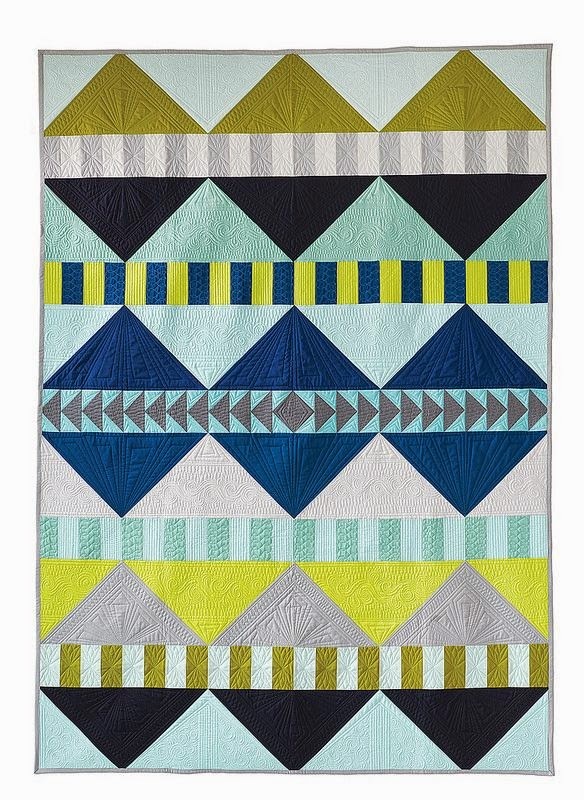 I fell in Love with Virginia's Necktie quilt! 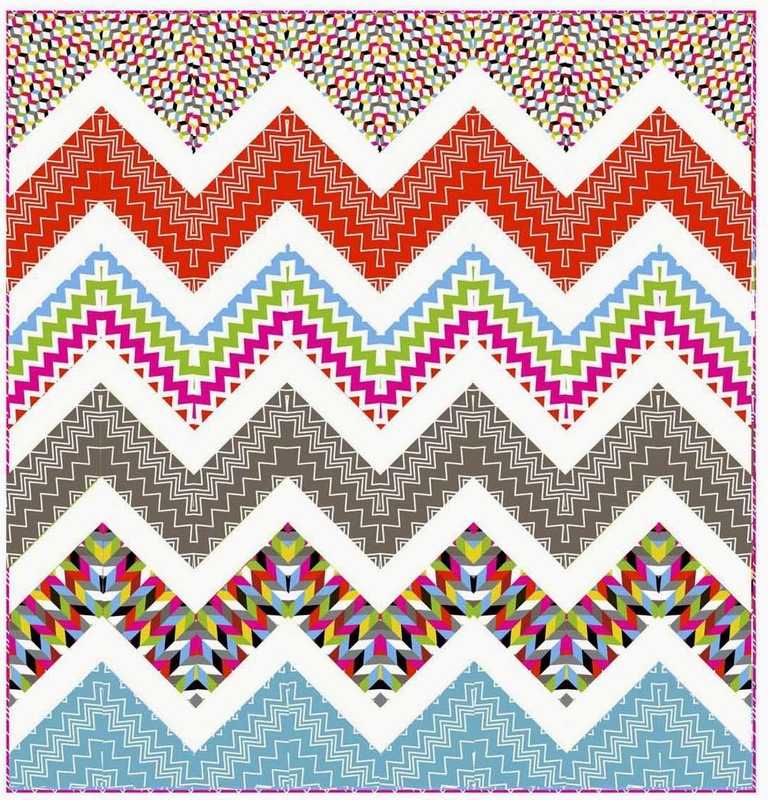 They are all beautiful though.